Home Bullmastiff dog behaviour Are Bullmastiffs Considered an Aggressive Breed? When it comes to making a choice regarding pet, Bullmastiff proved itself to be one of the most desirable pets ever. This fearless dog breed originated in Great Britain. Bulldogs and Mastiff dogs were crossbreds in order to get a more powerful dog breed. Bullmastiff usually weighs about 110 pounds to 130 pounds. They are prone to a number of genetic diseases. Hence, Bullmastiff owners should take their dog to the veterinarian for a regular checkup. “Are Bullmastiffs considered an aggressive breed” is such a query which comes to the mind of almost all new owners of Bullmastiff. It is the appearance of the Bullmastiff dog which makes people confuse about the aggressiveness of the dog. Bullmastiff dogs are quite intelligent. These are docile, loyal and energetic. They can sense danger and react to the situation accordingly. They can bite the enemy in order to save their master. Their obedience is ideal and they are best to be trained at the early stage of their life. Is Bullmastiff an Aggressive Breed? 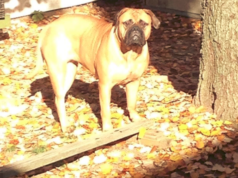 Let’s figure out “Is Bullmastiff an Aggressive Breed?”. Bullmastiff is a relatively taller dog breed which is giant in appearance. They are wrongly interpreted as an aggressive dog breed while they are not. Their calmer nature makes an important part of the family. Bullmastiff dog can live its life for about 8 to 10 years. Owners should feed their Bullmastiff dog with a balanced diet and avoid the food containing chemicals in it. They are best to be trained at the initial stages of their life. You would be pleased to know that they are good to be introduced to the people at gatherings. 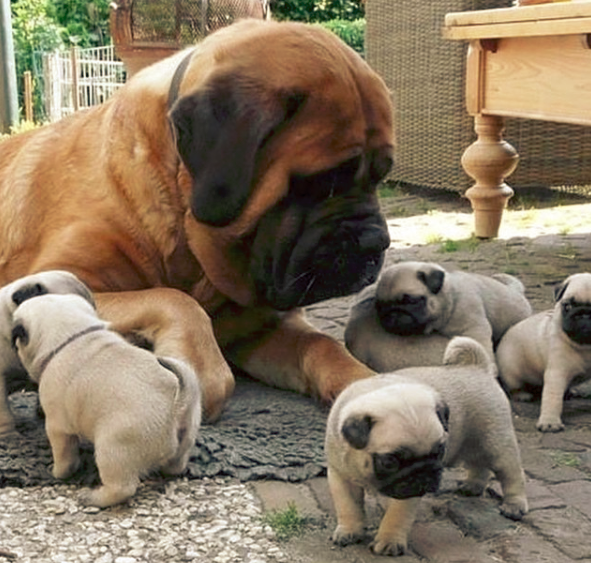 Let’s explore the relation of Bullmastiff with kids by knowing “Are bullmastiff dogs good with kids?” When it comes to kids, Bullmastiff depicts quite protective and friendly nature. They love to play with kids. Even, Bullmastiff puppy show protective behavior for kids. They are family oriented and soon develop a bond of love with kids. Kids rush towards Bullmastiff dog in order to play with them. Both of them share quality time with each other. Bullmastiff dog behavior towards other dogs should be known. It aids to take caution in accordance with the Bullmastiff behaviors. So, let’s have a glance at “Does Bullmastiff dog shows aggressiveness against other dogs?”. Bullmastiff is generally calm in behavior and does not bark much. But, on seeing the other dogs, they may howl on them. It is better to introduce your Bullmastiff to other dogs with great caution and do not let Bullmastiff dog alone with other dogs. Unlike other dogs, Bullmastiff dogs won’t frustrate you regarding cleanliness. They require moderate maintenance. “Are Bullmastiffs Considered an Aggressive Breed”? is no more a mystery now. 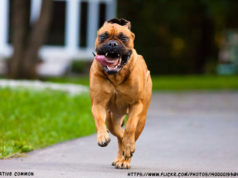 Get to know more about How much does it cost to buy a Bullmastiff dog. The more you know about Bullmastiff dog, the more you fall in love with this amazing dog breed. 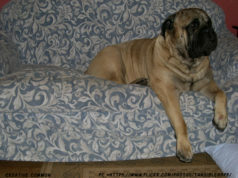 Previous articleHow Much Does it Cost to Buy a Bullmastiff?